Humanity’s First Intergalactic War is over, but only after testing the resolve, patience and skill of every last one of Earth’s guardians. The Aquillians have been defeated, but their threat has not been eliminated. Commander Prime Jefferson Grant’s life has been spared, but only in exchange for a life of servitude. No sooner had the dust settled and the dead buried before the survivors of the Aquillian race would emerge. Allied with a strange, new enemy and prepared for combat, these are not the creatures that allowed their civilization to be destroyed so easily by the humans in the First Contact War. They’re attacking Earth and her colonies without method or mercy, leaving the leaders of the United Space Corps scrambling to react. The last best hope lies with the soldiers, tradesmen and service members on the frontlines, thrown into the fire to survive or otherwise. 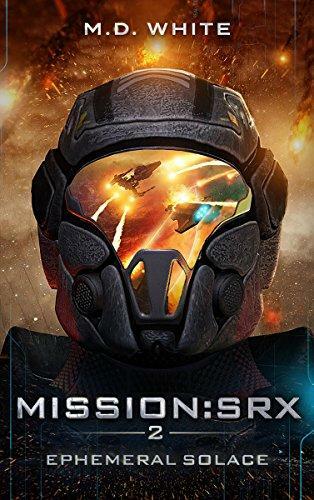 Driven by forces he does not understand, Commander Prime Grant must lay his past aside, lead his crew through the battle across the martian soil and forge a team unbreakable in body if not in spirit. Continue the adventures of Commander Grant from Mission:SRX #1: Confessions of the First War!